Following the appropriate licensing procedure, works within two stream mouths started in November. 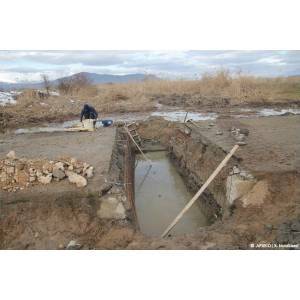 These works include the removal of reed vegetation from the stream banks in Mikrolimni and Lefkona stream mouths. 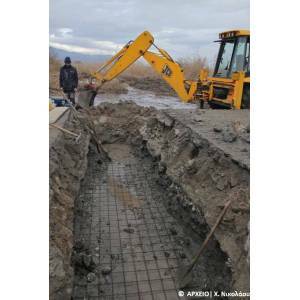 Additional construction works in Mikrolimni stream were almost completed within December, restoring the water flow and the fish passage on the weir of Mikrolimni stream by the replacement of one of the tubes by a larger. Some additional works are expected within early 2019 for the full completion of the construction, i.e. restoring the asphalt on the road and removing all construction material from the site.